The Williams Lake Backlands (WLB), covering approximately 200 ha, are the larger, undeveloped part of the Williams Lake Watershed which includes Colpitt Lake and Williams Lake. The WLB are part of “Purcell’s Cove Backlands” (approximately the 1350 ha) which include the land between Purcell’s Cove Road and Herring Cove Road from Williams Lake at the northwest end to Powers Pond at the southeast end. Lying only two kilometers from peninsular Halifax, the WLB are near pristine wilderness. We traversed various routes through the WLB on twelve separate days between May 13 and Nov. 8, 2013 to document plant communities and wetlands for the Williams Lake Conservation Company, a volunteer organization concerned with stewardship of the Williams Lake watershed. The WLB present a mosaic of landscapes and plant communities associated with high variability on a fairly small scale in the topography, depth of soil/till, drainage and surface water storage and in the ages since disturbance of the associated plant communities. That variability in turn is related to the presence of glacially scoured hard granite outcrops of South Mountain Batholith, outcroppings of highly folded and metamorphosed Halifax Group black slates and siltstones of the Meguma Supergroup, a contact zone between the two rock types, and glacial till. Overall, the plant communities are those of nutrient-poor, acidic environments and of fire-, wind-, and pest-driven disturbance regimes within a moist temperate, coastal region. Exotic (non-native) species are found only close to roads and houses at the edge of the WLB. These are “old process” plant communities with a high degree of ecological integrity. The fire dependent/fire adapted nature of the vegetation and carbon dating of charcoal from a core in a Jack Pine fen indicate that fires in the WLB are part of a long-term fire regime that predates European settlement. Indeed, the whole of the Purcell’s Cove Backlands is one of the most fire-susceptible landscapes in Nova Scotia, the droughty, windswept high barrens acting as matchsticks. 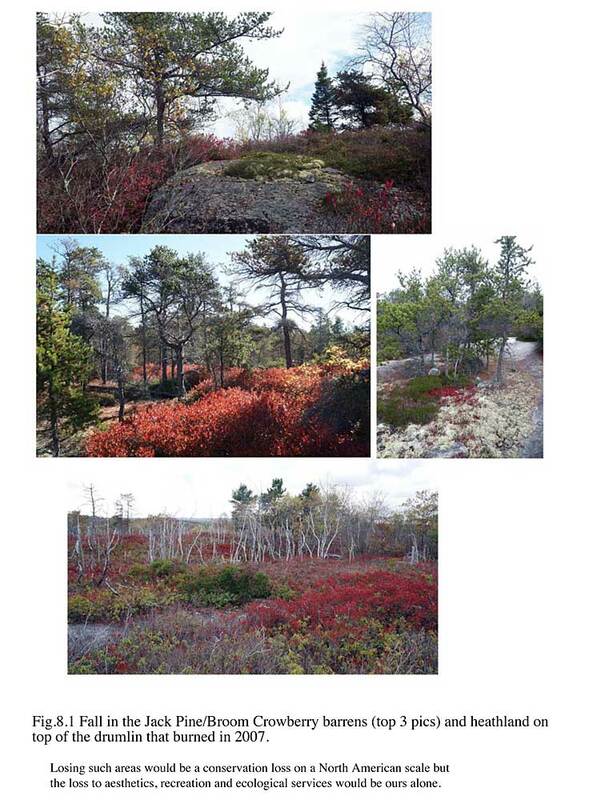 One result is the presence of an old process, fire dependent Jack Pine/Broom Crowberry Barrens community that is nationally unique to Nova Scotia, globally rare and of high conservation significance. In the northeastern U.S., this community transitions to the fire-dependent Pitch Pine/Broom Crowberry community which is well recognized as of high conservation value. The largest single patch of Jack Pine/Broom Crowberry Barrens within the Purcell’s Backlands occurs within the WLB, and overall, the Jack Pine/Broom Crowberry Barrens in the Purcell’s Cove Backlands are amongst if not the best, representatives of this community in Nova Scotia. 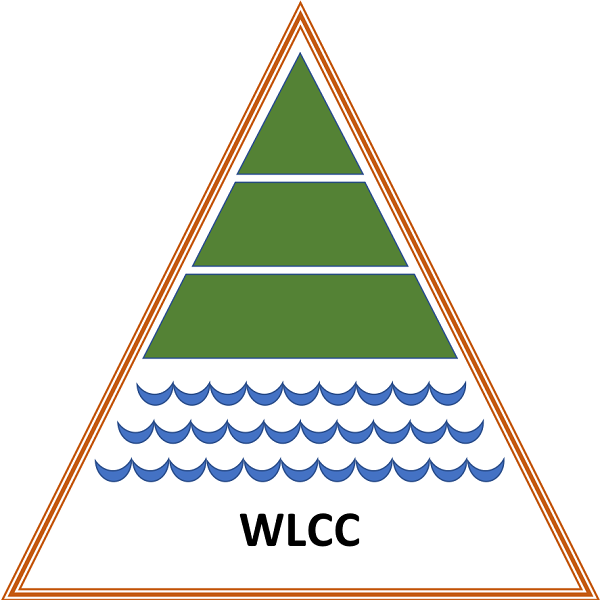 The water regime in the WLB has features of dryland systems, with intermittent stream courses probably accounting for a majority of the water flow. Critical components such as Mountain Holly washes, vernal pools and boulder fields are not currently protected under Nova Scotia wetland and stream course regulations but are vital to maintenance of the larger wetlands and water quality of both surface and groundwater in the area. The undisturbed nature of this wilderness area, its mosaic of habitats with wetlands, lakes, streams, forest and barrens, and its location by the coast in the most urbanized area of the province make the WLB and the larger Purcell’s Cove Backlands significant habitat for both breeding and migratory birds. It is suggested that conserving the WLB and the larger Purcell’s Cove Backlands as natural systems reduces fire risk to adjacent communities compared to allowing more intrusions into the backlands. Implementing strategies such as those promoted in the northeastern U.S. for living compatibly with fire structured pitch pine ecosystems would enhance both fire protection for neighbouring communities and conservation of biodiversity in our backlands.